In support of The Nothing They Need, and in celebration of being a band for 20 years, Dead Meadow will be touring the US with dates kicking off this Friday, March 2, and hits, among others, Brooklyn, Philadelphia, Boston, Toronto, and Chicago before concluding at Levitation in Austin, TX on April 26. The full tour is listed below and tickets are on-sale now. With the release of The Nothing They Need, Dead Meadow’s Steve Kille and Jason Simon celebrate twenty years of the band with eight songs that feature everyone that has been musically involved with the band over the years. They’re joined by original drummer Mark Laughlin, Stephen McCarty (the drummer throughout the Matador years), and current drummer Juan Londono. Cory Shanejoins them on guitar for some Feathers era dual guitar interplay. The album was recorded in Dead Meadows’ studio/rehearsal space, The Wiggle Room. 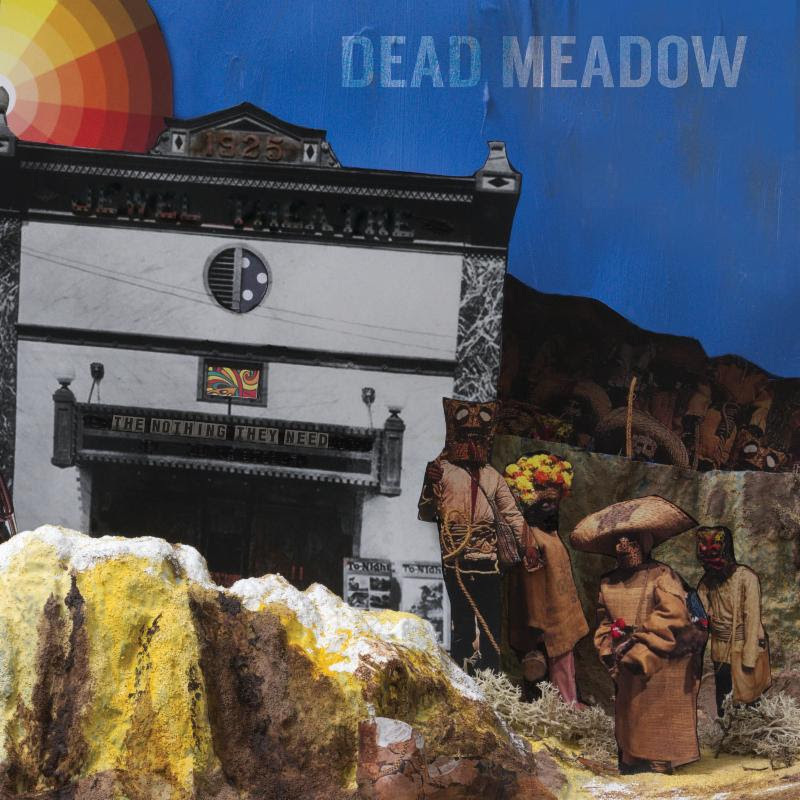 While Dead Meadow met in and around Washington, D.C.’s punk/indie scene, the trio draws more of its sound from such classic rock legends as Pink Floyd, Led Zeppelin, and Black Sabbath. The trio formed in the fall of 1998 and their widely-acclaimed self-titled debut album was released in 1999. Within a relatively short period, the D.C. trio received offers to tour with everyone from local D.C. acts like The Make-Up and Fugazi to psychedelic rockers Brian Jonestown Massacre. What has followed since are seven studio albums – three via Matador records (Shivering King and Others (2003), Feathers (2005), and Old Growth (2008)) – two live albums which includes Three Kings, a feature length live film and soundtrack and more tours across the USA and Europe than the band can count. And while the person behind the drum kit has changed over the years, the core of Dead Meadow – Jason and Steve – have continued to play together throughout. Since 2007 they have been based in Los Angeles. In support of The Nothing They Need, Dead Meadow will be touring the US with dates kicking off March 2 and hits, among others, Brooklyn, Philadelphia, Boston, Toronto, and Chicago before concluding at Levitation in Austin, TX on April 26. Further, Dead Meadow will be playing in Los Angeles at Orpheum(Night on Broadway) on January 27. The full tour is listed below and tickets are on-sale now.